I always believed that we don't need a special day to celebrate & show Love. However I do believe that in this fast going world we all are making ourselves too busy that we often forget to show love everyday. Thats why at least on some special days like Valentine's Day we should put some efforts for our loved ones. Today I am giving you an easy option,which anyone can make,to give your loved ones a little surprise. 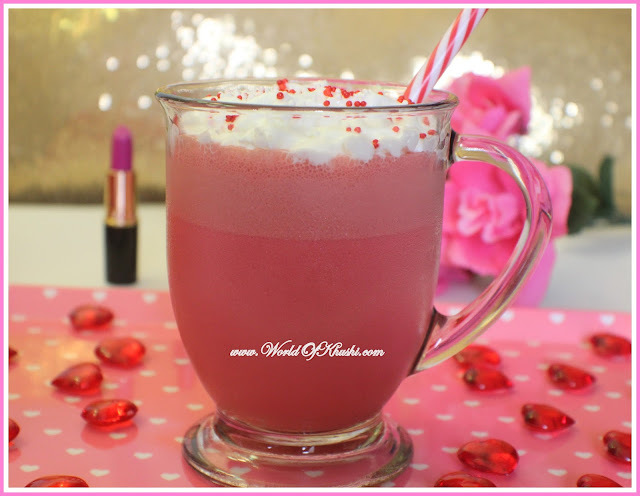 Red Velvet Milkshake, my today's recipe, is a relatively new drink to try & also serves you the taste of Red Velvet Cake feeling. Note :- All the measurements are for making a single Big Cup of Milkshake. Step 1. In the Blender, add Ice-Cream, Milk, Red velvet cake powder & Vanilla extract. Step 2. Blend properly till you get a smooth drink. I hope you like this drink. Do try this drink & let me know your opinions on it. 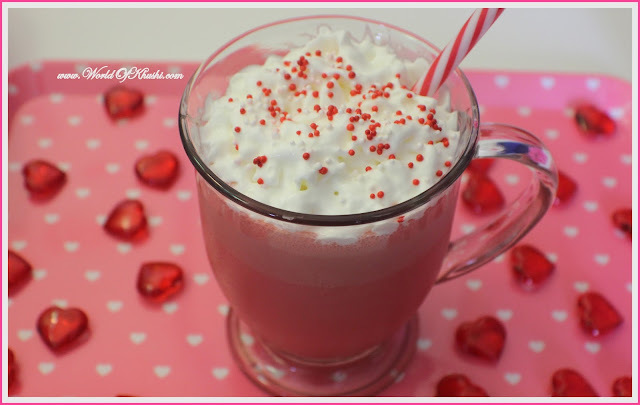 It's very popular drink which people prepare at their homes, specially during Valentine's day time. But we can enjoy this throughout the day.